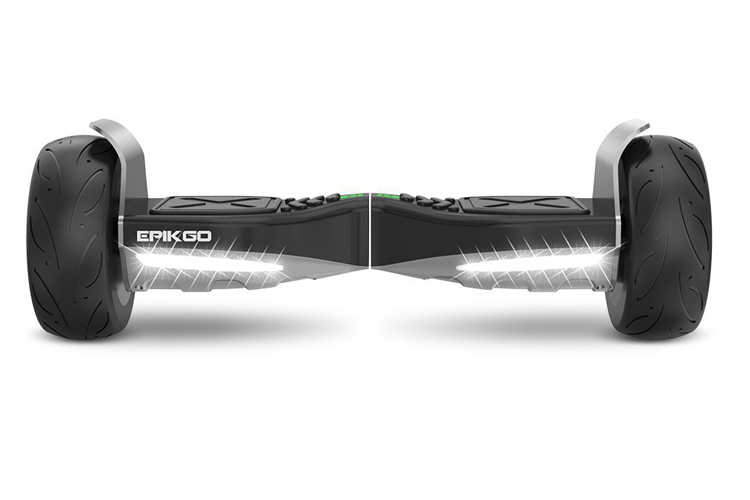 The EPIKGO SPORT Self Balancing Scooter Hoverboard takes neighborhood cruising a notch higher. Like its EPIKGO sibling, this model has all the bells and whistles but with a Bluetooth 4.0 speaker. 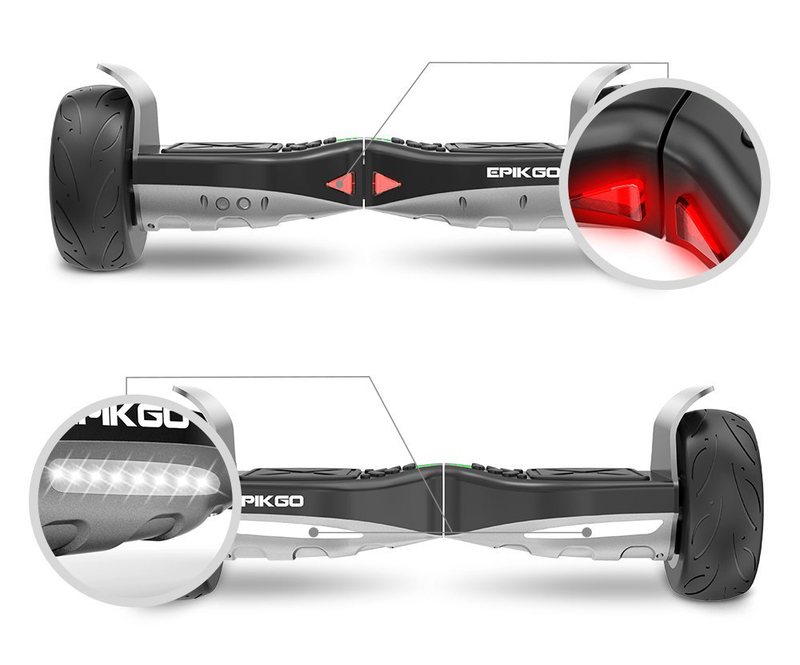 It still has the great safety standards that the EPIKGO is known for, plus a whole lot more power. The EPIKGO SPORT Self Balancing Scooter is powered by a 400W dual motor – powerful enough for steep climbs of 30 degrees. It provides a distance coverage of 12 miles on a single charge (making it one of the most powerful hoverboards on the market). 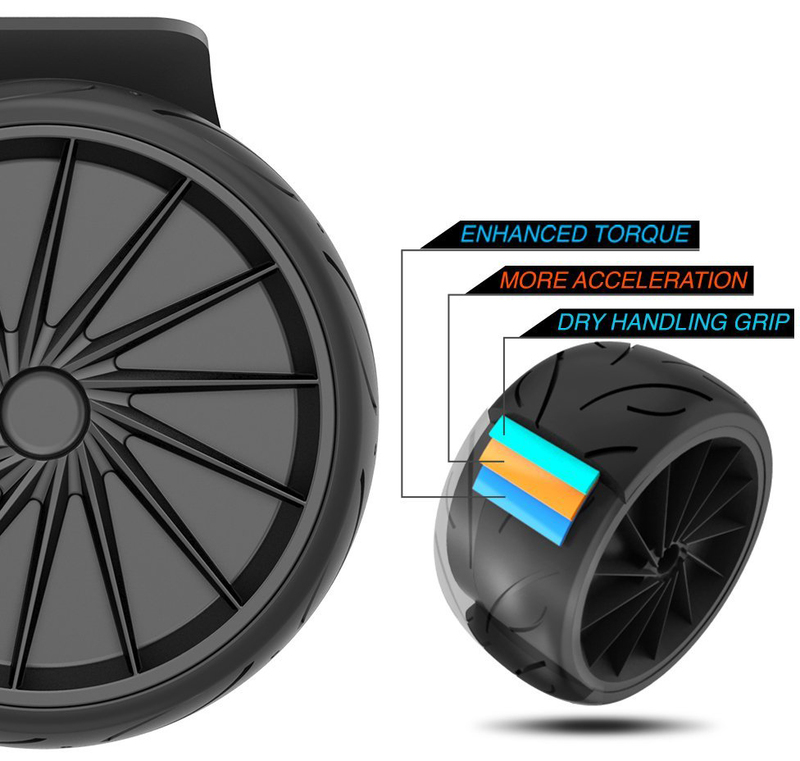 It features streamlined racing tires, an IP56 water resistance rating, plus a UL 2272 certified balance board with UL2271 Smart Battery rating. This means that this model has passed 159 safety tests. No potential fire hazards for this one. Fully charges in two hours. Weight capacity is at 265 lbs. 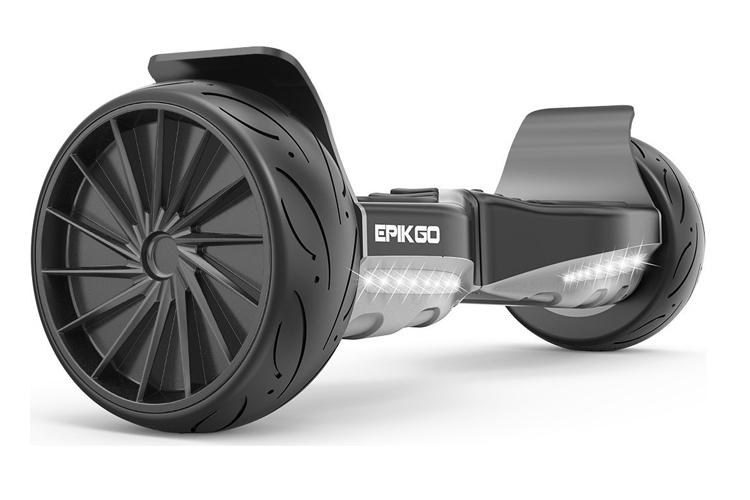 Customers who have purchased this model are impressed with the EPIKGO SPORT’s performance. 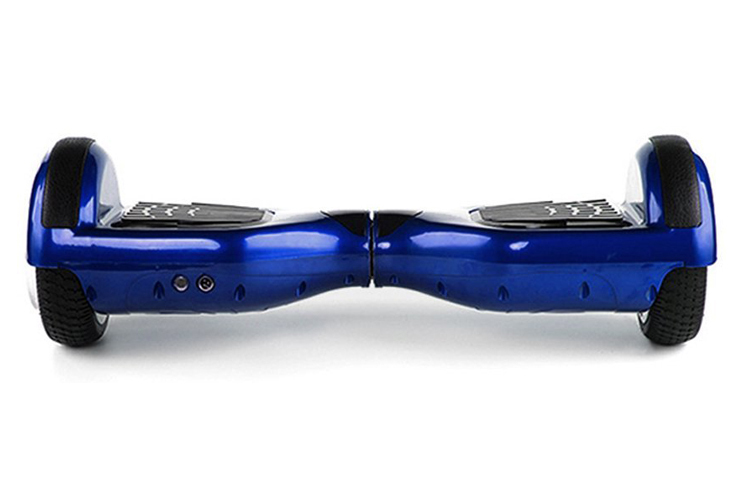 It packs so much power for its size and is a great upgrade for the thrill seeking rider. It is easy for the novice to learn, provides more power and is 30% larger than the leading competitor. The self-balancing scooter for kids with more power, all the safety features of the EPIKGO, plus a Bluetooth 4.0 speaker. 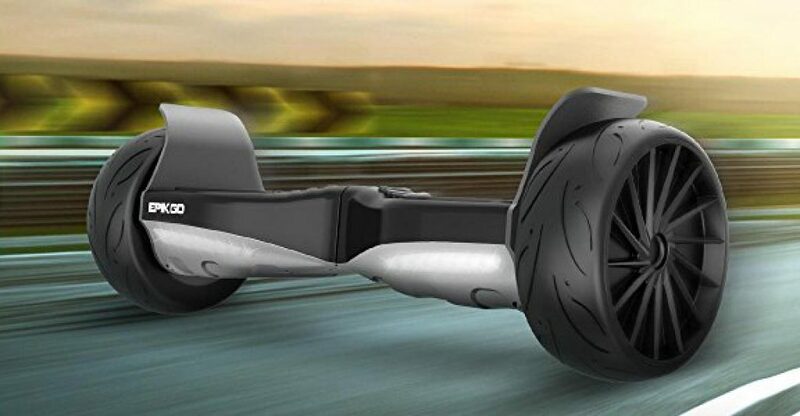 The EPIKGO SPORT Self Balancing Scooter takes hoverboard riding to the next level. It’s twice as powerful, 30% larger than the leading competitor and can tackle different types of terrain.